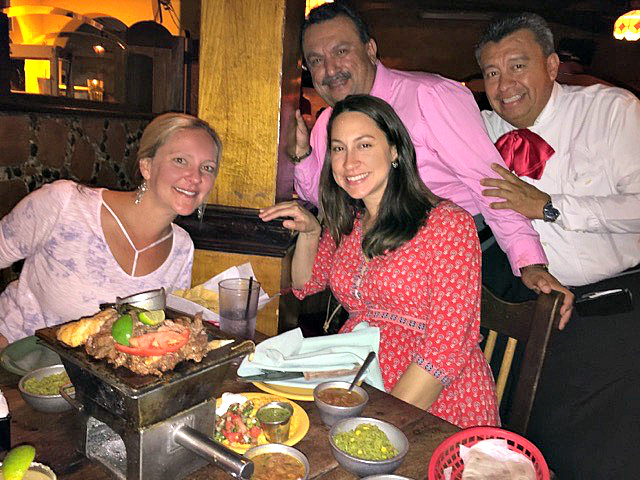 The first night we dug right into some authentic Tex Mex for dinner at El Tiempo Cantina. The three of us shared Chicken and Steak Fajitas which were amazing! Lee and I had a late breakfast at Snooze: An A.M. Eatery which has a really cool menu. 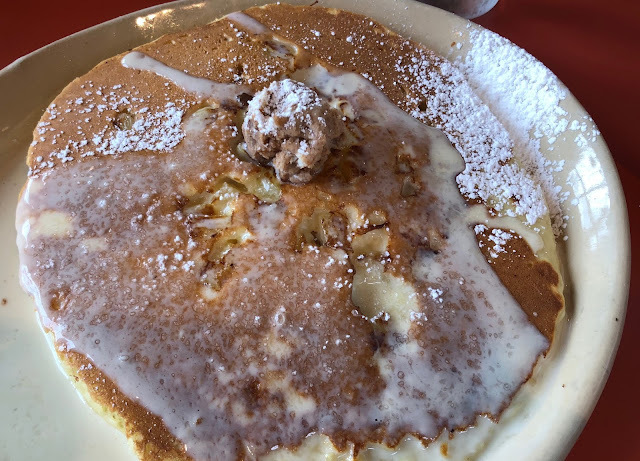 I had Shrimp and Grits and tasted Lee's Pineapple Upside Down Pancake which is out of this world! 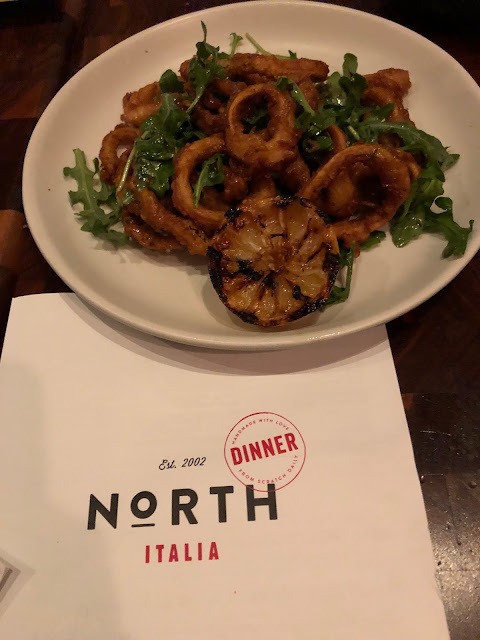 Dinner that night was at North Italia. They have a pretty small menu but everything we tried was delicious. 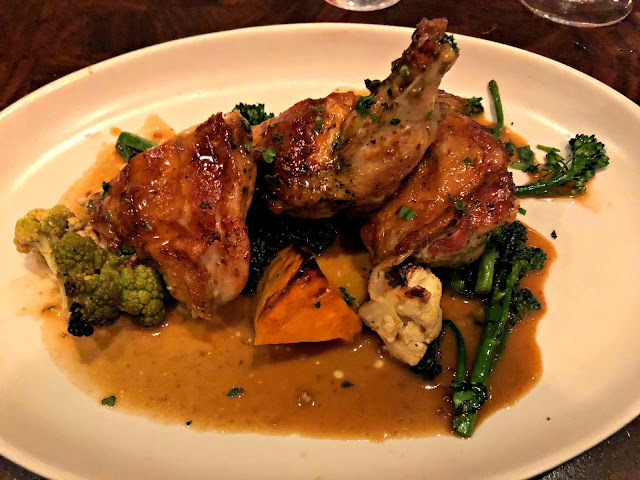 The cocktail of choice was Dirty Martinis with Blue Cheese Olives, Crispy Calamari and Grilled Artichokes for appetizers, and Rosemary Chicken for my main course. 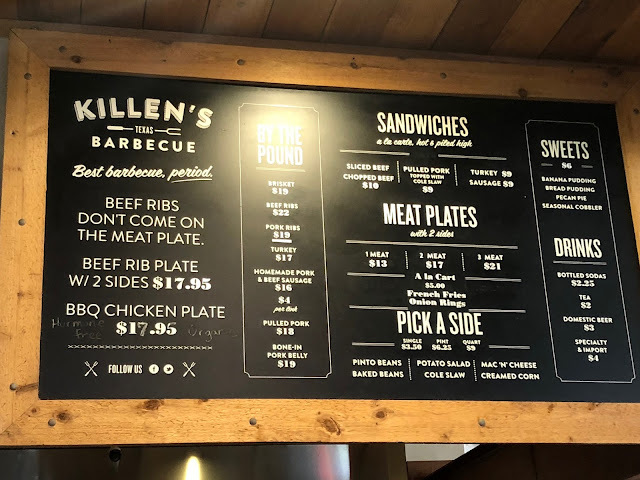 We drove to Pearland for some of the best Texas BBQ at Killen's. You know the food is good when the line is out of the door. I loved that they have a coffee flavored BBQ sauce. Take out Indian food for dinner. No photos were snapped as we were exhausted from exploring Houston the entire day. Brunch at Backstreet Cafe. I had a Nutella Iced Coffee with Eggs Benedict. Geoff and I had a couple Wild Berry Mimosas and Lee had the Brioche French Toast. We stopped for Mint Julep's after dinner on Friday night. This was my first time trying a Mint Julep and I'm officially a huge fan even though I've never really liked Bourbon. This place is seriously cool with two huge bars (one full liquor and the other with a ton of beer options) separated by an outside courtyard in between. Really nice spot when the weather is gorgeous like it was for us over the weekend. 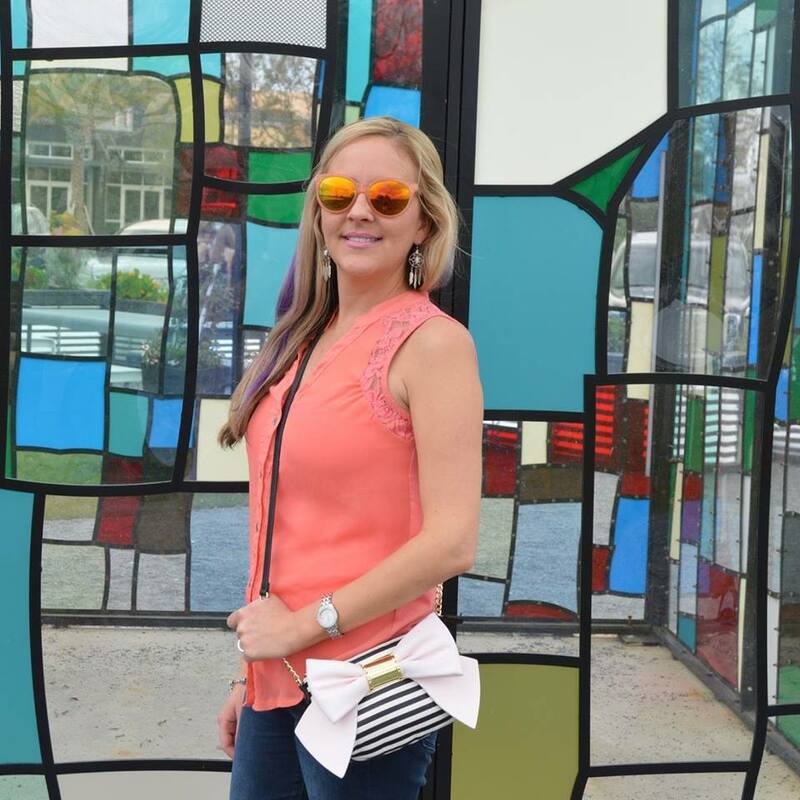 A relaxed bar and restaurant setting with good music and outdoor fun such as bocce ball and croquet. 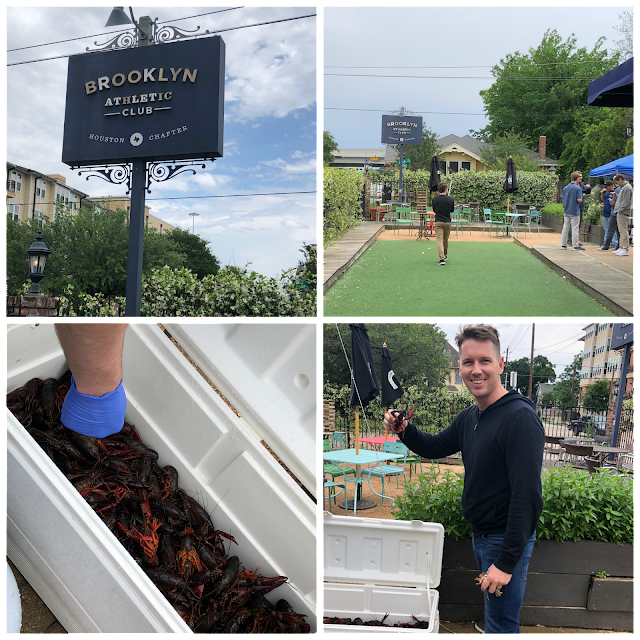 They also do crawfish broils on the weekend, even though I'm not a fan of crawfish it was fun seeing "the chef" get it all prepped. We LOVED this brewery! 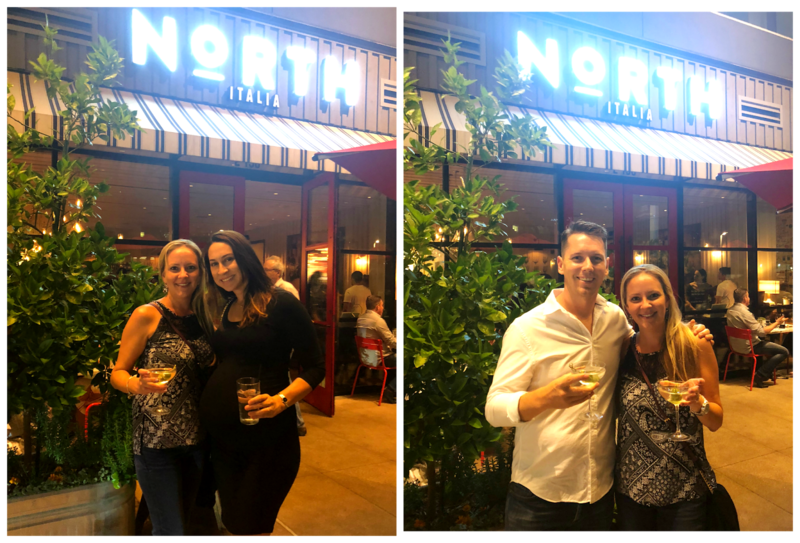 We only stopped in for one drink but even Lee being 7 months pregnant loved the vibe and huge outside backyard. 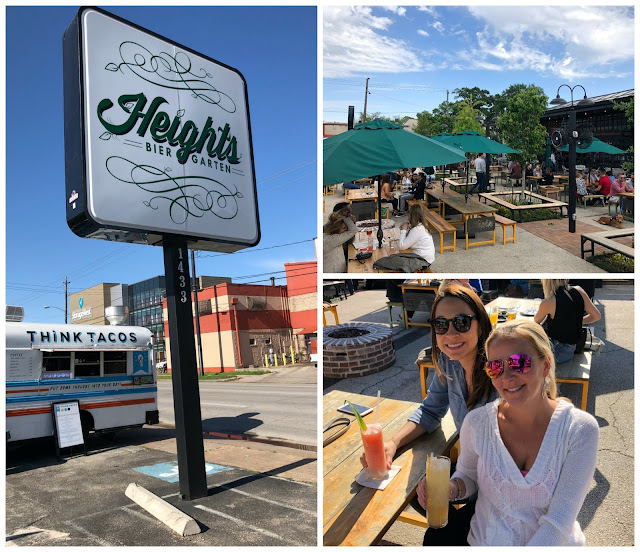 I'm sure I only covered a small percentage of what Houston has to offer in terms of restaurants, bars, and breweries but everywhere we went was nothing short of amazing! 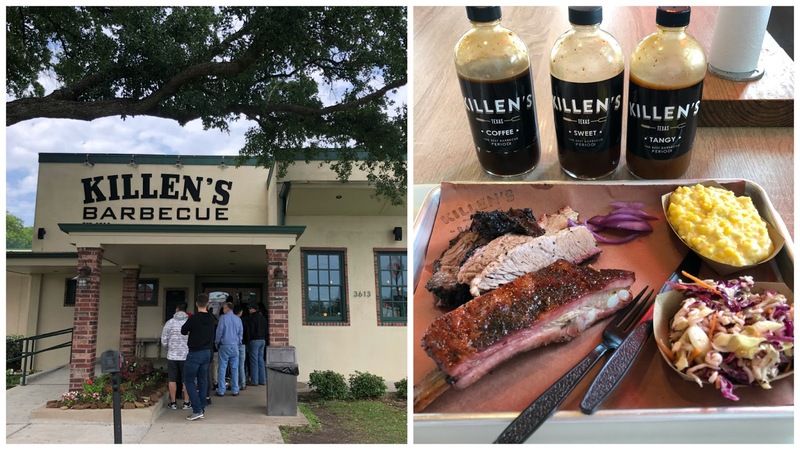 I’ve heard that houston is such a foodie city! Love all the different restaurants you tried! 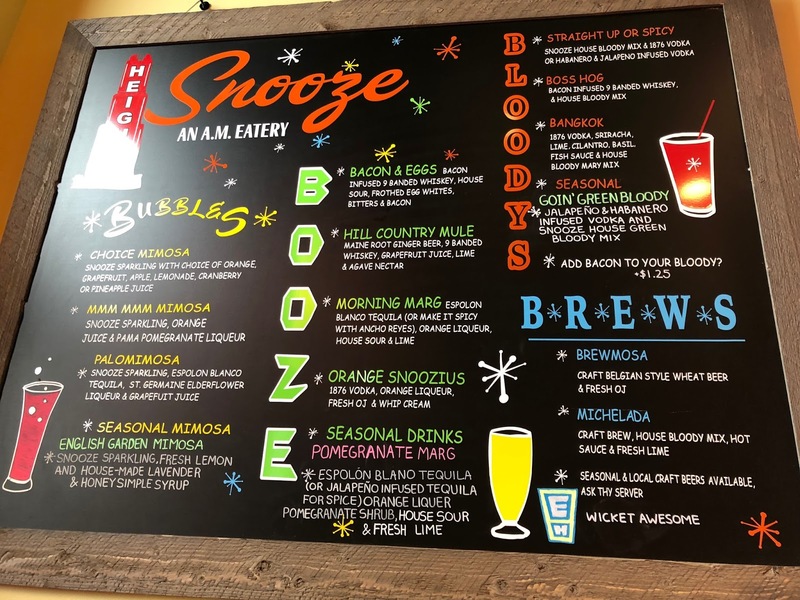 Snooze is the only one of those places I've been to but everything looks so good! Houston is always such a great place for amazing food. oh goodness each one looks better than the last! 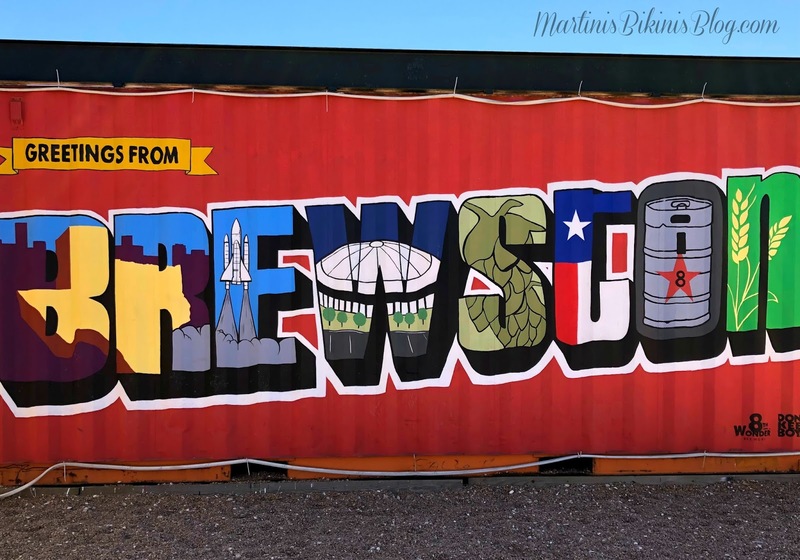 that brewery looks super fun as well as that bier garten. 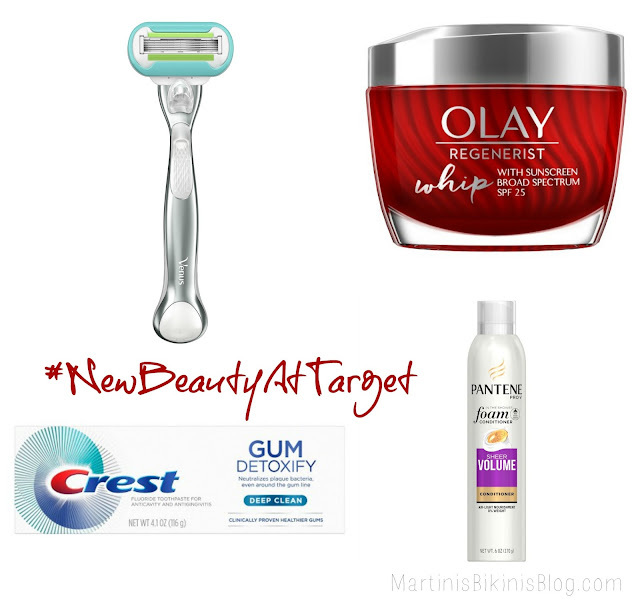 love how many different things you got to try! I've heard GREAT things about Houston's bar scene! Yum!!! I went to Houston many moons ago and either went to El Tiempo Cantina or a place that looks JUST like it. Tex Mex in Texas is the absolute best! Your food pics have me salivating! Authentic Tex Mex is the best. Wow, you had some yummy food and drink this weekend! So glad you did this! Oh my goodness your friends treated you so well and took you to some of the best restaurants in Houston! I still haven’t been to Killen’s but I’ve heard amazing things about it. 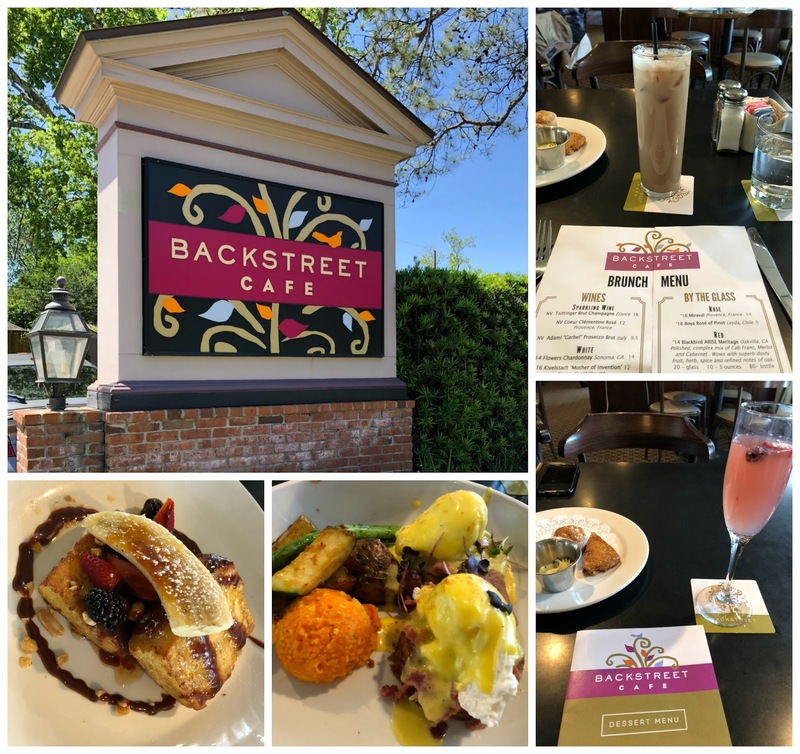 We love Backstreet, especially for brunch, and El Tiempo is delicious and their margaritas are strong too! 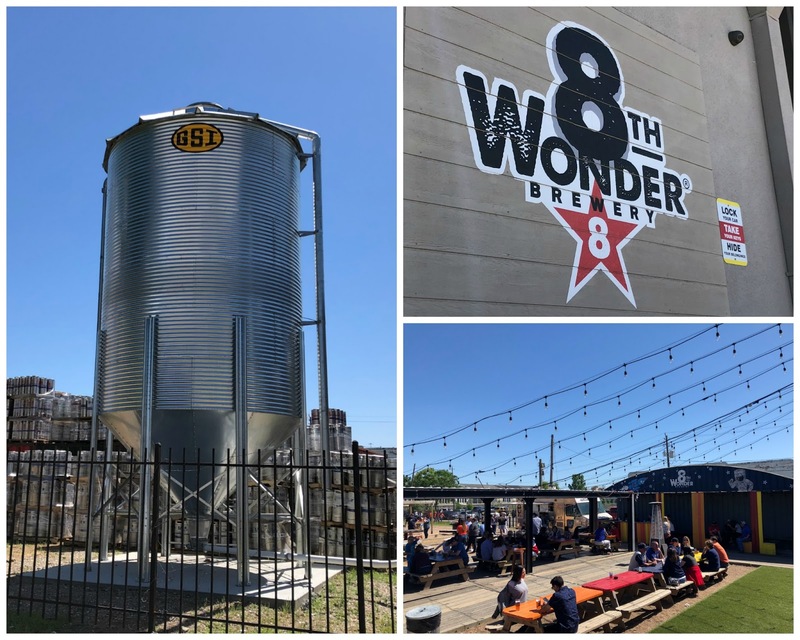 8th Wonder is on my list to visit as well! Maybe when the weather is better we’ll take the girls! Ok I’m drooling hearing about all this food. The Italian sounds amazing and the brunch eats look divine! I want someTex Mex now- what an awesome trip! I love it! I am so glad I am not the only one who tries so many places on a trip! I love Snooze! El Tiempo is amazing! I went there the last time I was in Houston. Snooze is so good too! Looks like you really did hit all the Texas food groups! OMG we went to El Tiempo with my in-laws on Spring Break and it was soooo good! We got pitchers of margaritas and they cost more than most meals! The food portions were HUGE! We all shared one meal and had left overs! OMG Snooze is amazing! Weºve been to Snooze sooooo many times here in San Antonio and that one too when we visited NASA! 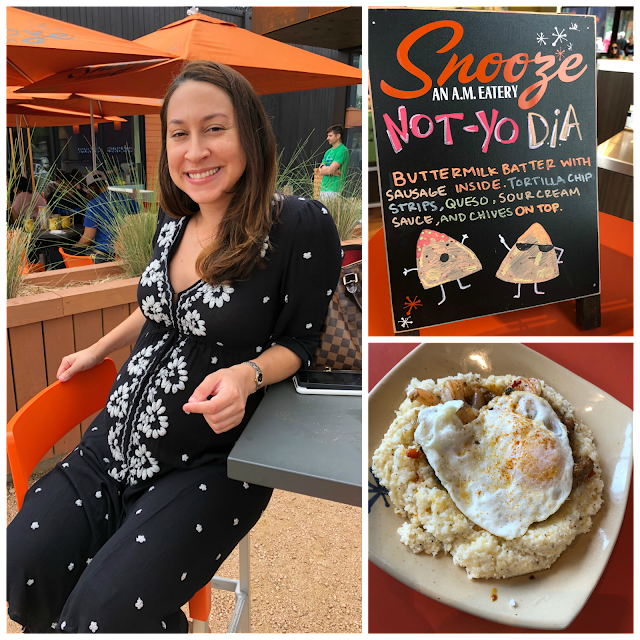 I even did some posts about snooze and NASA on the blog! 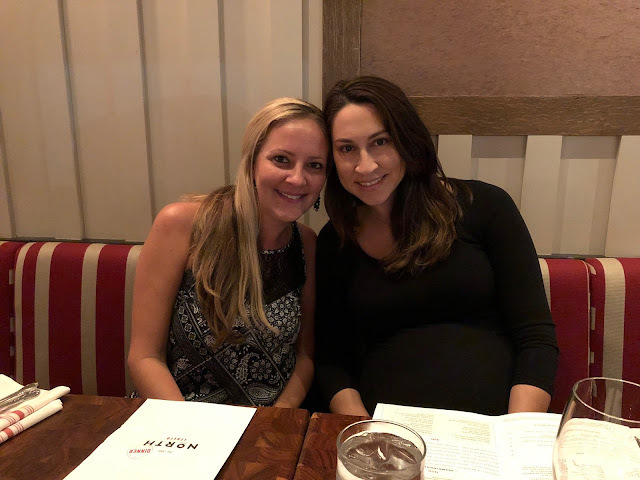 Iºm glad you enjoyed Houston!